In two weeks time I’ll be revealing what I’ve been up to in LA. 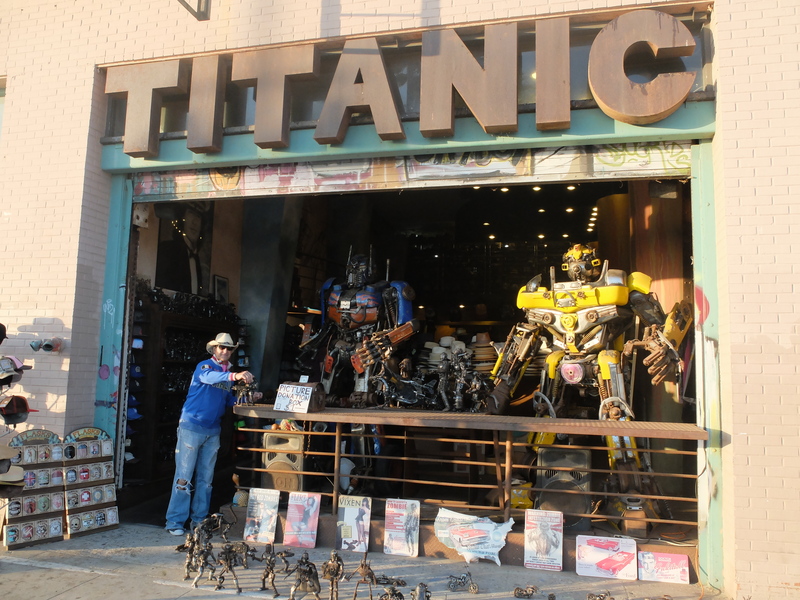 However, as I’ve been super-duper-busy, it’s been hard to find time to check out the typical touristy things there. The list which follows is therefore very small, but here comes the few things I actually have been able to check out for you all (except a few great attractions and activities which gets their own article)! Although I wasn’t the biggest fan the first time I went, Santa Monica did grow on me. People have told me to go to Manhattan, Rodendo, Hermosa and Malibu for more beautiful & rich beaches, but Santa Monica beach is the one closest to Hollywood and Los Angeles Downtown if you’re staying there – even though it’s still twenty min-half an hour away in certain traffic! 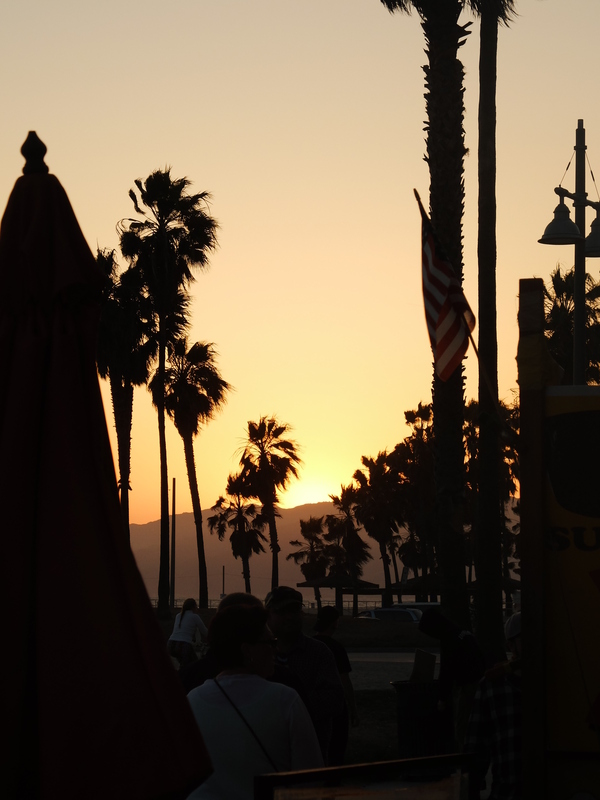 At first you wouldn’t think there’s much to do around Santa Monica, but close to the pier there’s also a great shopping area with many restaurants. The pier looks super cute for romantic dates or family days out with fun fair rides and an aquarium. Next to the pier is also pubs, souvenir shops and a cheap bike/roller blades rental hut where I rented roller blades once. Only $7 for an hour! A little bit further down the boardwalk you see activities areas where many sporty people hang out and do gymnastic or whichever stunts takes their fancy. It’s quite interesting to watch if you find you need a breather in the hot weather – just be careful not to get run down by a cyclist on the cycle lane or me on roller blades. Moreover, we did end up going to Manhattan, Rodendo and Hermosa for the 4th of July. Well, we passed by at least and stayed long enough to catch the firework. However, I didn’t think they were that much prettier although the houses around were a lot nicer and more “californian”. The beaches didn’t stand out too much. It’s also really expensive in Manhattan. Like really expensive. I did not like Venice beach. I’m really sorry. 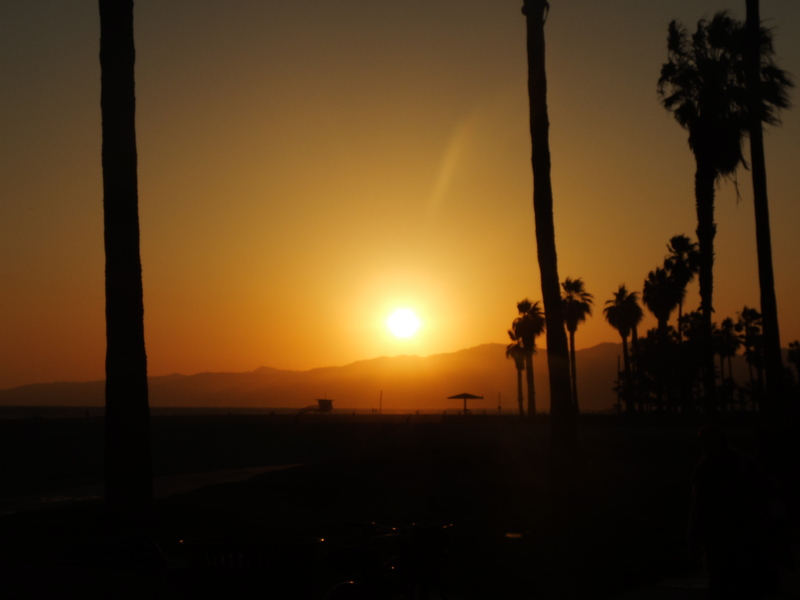 It might have a lot to do with me being stupid enough to go there on my own (You can spend an hour and walk from Santa Monica to Venice on the same boardwalk along the beach) in the afternoon when the sun was about to set (the sunset is something else though…). There were practically no signal to call an Uber here and homeless people, substance users and cheeky skateboarders all around; they’re not really the best company when you’re a young girl walking on your own so I won’t lie: I did have my heart up my throat at some points. I think I would have enjoyed it a lot more if I had been there with someone I knew. There’re actually alot of things to see: from street stalls to a freak show circus (literally). There’s also a shop here (picture above) which is one of Venice’s more well known shops. 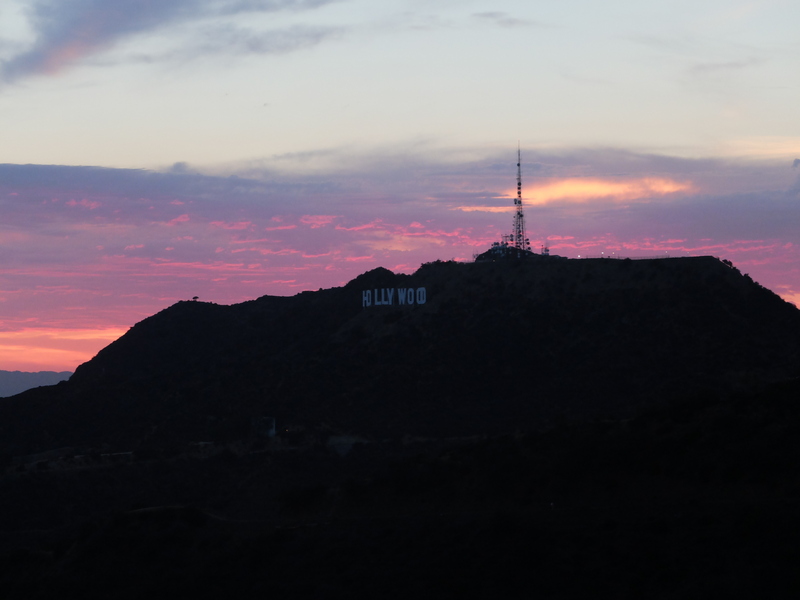 Another of LA’s romantic picks – especially at sunset. We hiked up to a peak/view post behind/above the observatory from where we had a full panorama view over Los Angeles and the Hollywood sign. Now, you might ask yourself how you’re going to get between places or even home to your accommodation once you’re done exploring the big city of many cities. Walking? Pah, You’re having a laugh. Taxi? Yeah, kind of, but remember the distances are long and the taxi fares really steep. Not to mention the issue of finding a taxi rank when you need it. This is where Uber becomes a blessing. You can download their app and select between different types of vehicles after your needs. UberPOOL is the most ground breaking one; a set cheap fare (all the uber options are cheaper than regular taxis) as you split with someone else going your direction (even though most of the time you end up taking the pool alone). Once you’ve ordered an uber, you’ll be able to follow the driver on the app’s gps (it still got a few bugs in complicated traffic, but works most of the time) until they come find you by using their own gps. Now a lot of people, including myself in the beginning, don’t know whether or not to trust Uber. However, let me just tell you that all Uber drivers go through security and background checks, the ride is accepted on the basis of mutual trust and, if you ever have anything to complain about, the Uber customer support are incredibly helpful and will sort out your issue(s) asap 👌🏼 what’s not to like? Happy Ubering! With this I say goodbye to Los Angeles for this round and hope with everything I have that it won’t be too long until I come back again to experience more. By the end of the day, that’s what LA is all about. It’s not a pretty or simple city, but it has opportunities and offer a lifestyle which makes it unique. It is the home of Hollywood after all. Being a huge O.C. tv series fan, I’ve always wanted to go to Orange County to have a look around. As we went to Newport Beach, I can confirm that I did not get disappointed. It’s stunning there. The small houses – whether they are holiday rentals or someone’s actual home – was insanely beautiful, beachy, chill and modern at the same time. I would know because the windows were so huge you practically got a tour of each and single one of the snuggly built houses as we drove by. Balboa Peninsula and Ocean View was my favourite streets. I could have lived out my writer days happily here with frequent visits to the nearby beach. From the beach, across the waters, you see more of Newport. The design of the place gives you the feeling the tv series are trying to mimic; this is the true California all of us international pepz think of. What I wouldn’t do to be a Californian youngster staying here with a couple friends over the summer while throwing one chill summer party after the other. God, I’ve never been so jealous of people born here. Ever. 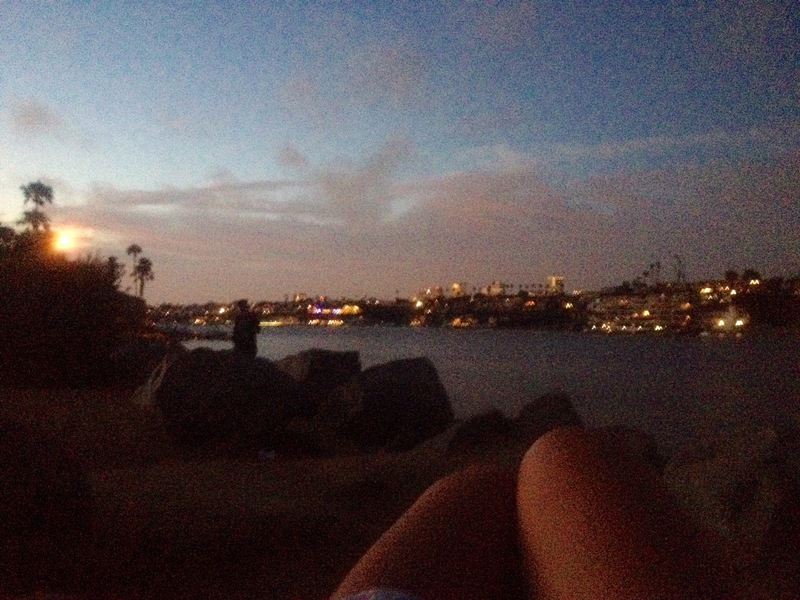 This place is the Californian dream. It’s my selfish dream. I think very few other places can ever beat the feeling I got here. This was home. 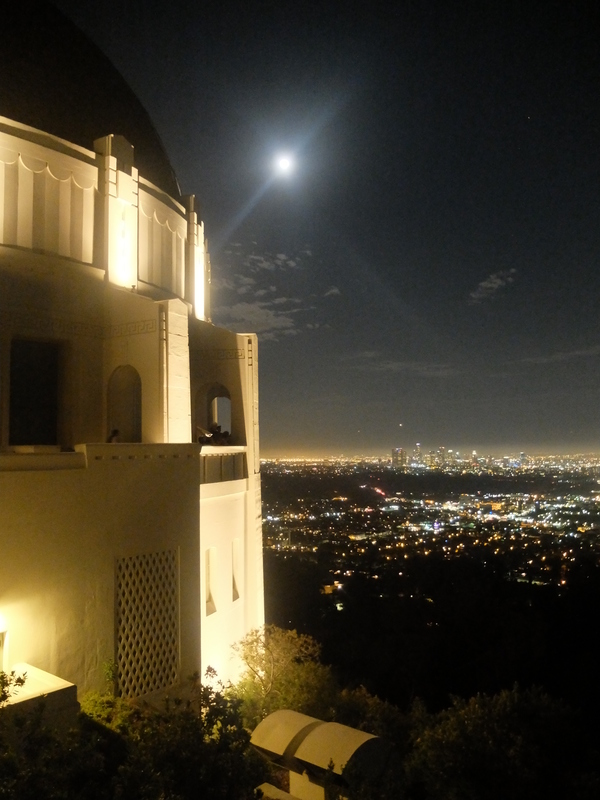 What is your favourite things to do and places to see in LA? Next Post Part 1: Disneyland Park, Ca.